Sammy Rabbit - Financial Literacy Through Songs, Stories, and More! 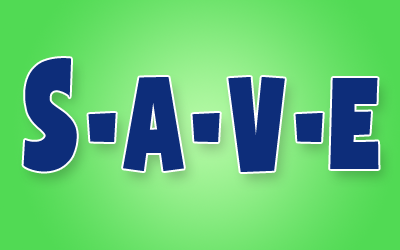 Teach kids great money habits with Sammy's songs, stories, and activities that are engaging and sticky! Learning with Sammy is fun for everyone! His magic? He makes it easy and fun for anyone to talk to and teach kids about great money habits, big dreams and more! Kids like and trust Sammy. Adults do too. Check out his free and low cost financial literacy resources. 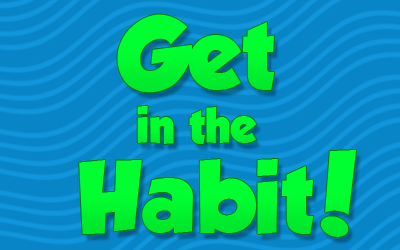 Teach a great money habit today. Empower a child and family forever! Everyone wins with Sammy! 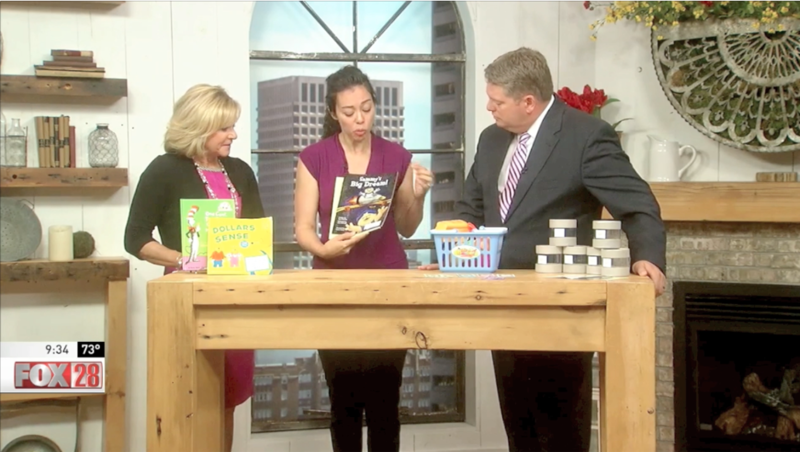 Families, schools, communities, clients get educational resources and experiences that engage and empower kids. You create and deepen relationships, receive recognition and brand exposure, and contribute to a social enterprise with a vital mission. Build kids skills, competence, and confidence. Place them on the road to financial freedom, financial security, and financial health! Have kids color the story to reinforce lessons and learn bonus Sammy Sayings at the bottom of each page! 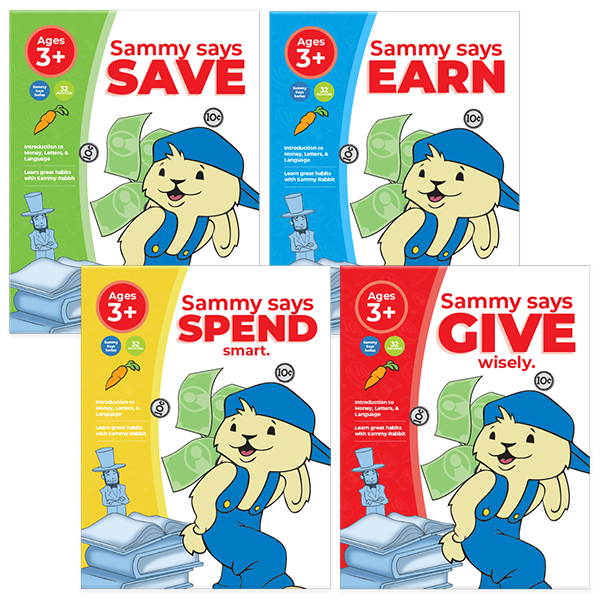 Learn great money habits with Sammy Rabbit! An introduction to money, letters, and language. Effective and engaging education resources that are easy to explain and easy to understand. Ages 3+. 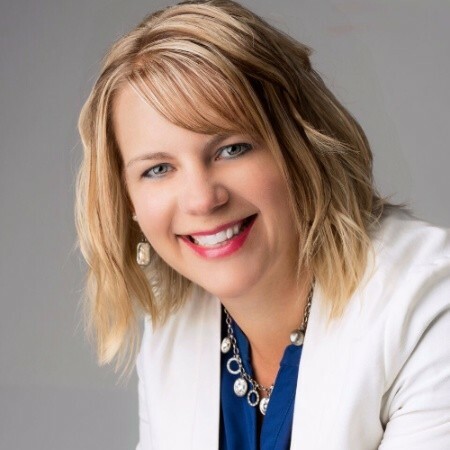 Sing, dance, learn personal finance! Sammy has a ton of toe tapping tunes kids love! It's all a part of his unique and infectious financial literacy experience. 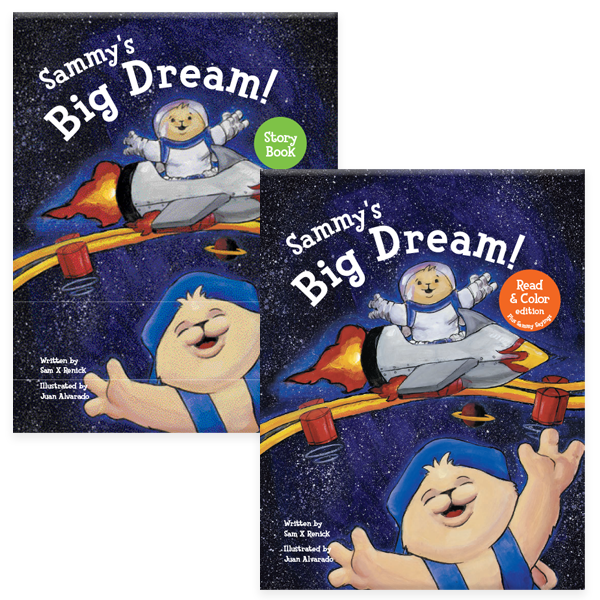 Download the FREE Sammy's Big Dream Instructor's Guide. Sammy has five Dream Big Initiatives, each has its own specific mission. 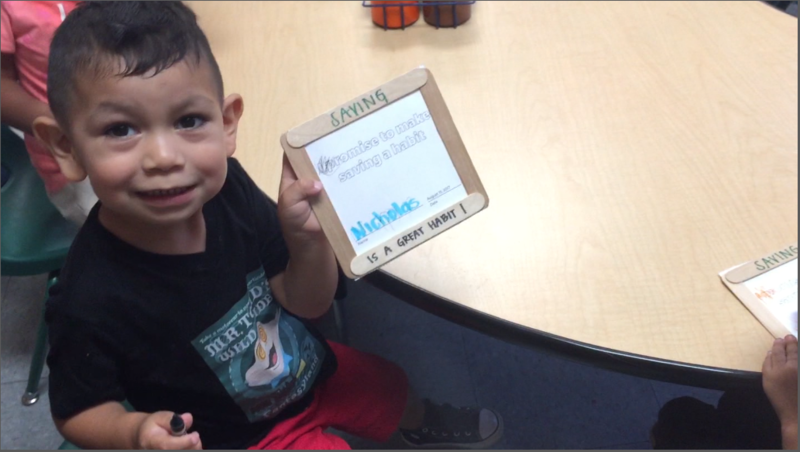 His current focus is on his Dream Big Read and Resource Initiative. 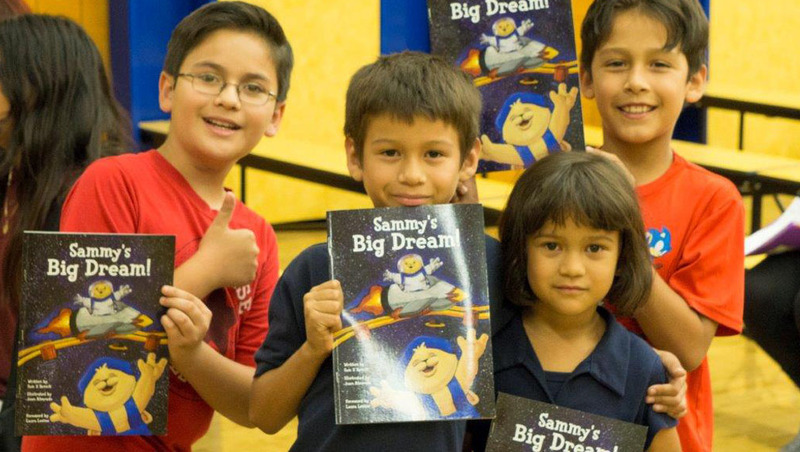 The mission is to have 1 million children between the ages of 5 and 8 receive and read his story book Sammy’s Big Dream by the end of 2020. Pilot test Sammy’s Big Dream today. Check out the Sammy's Training Center for a FREE instructor guide. Let’s accomplish the mission! join the Dream Big Club where they can continue to learn and grow. Inspiring stories of leaders who use Sammy resources to talk to and teach kids about great money habits, big dreams, and essential skills that build the foundation for a lifetime of success. Read more. Amy gifted a classroom at St. John Lutheran School in Berlin, Wisconsin with a set of Read & Color Bundles. 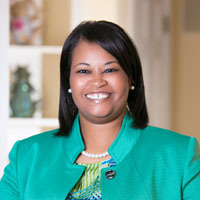 She also led them in a Dream Big Financial Education experience. Read about her experience. 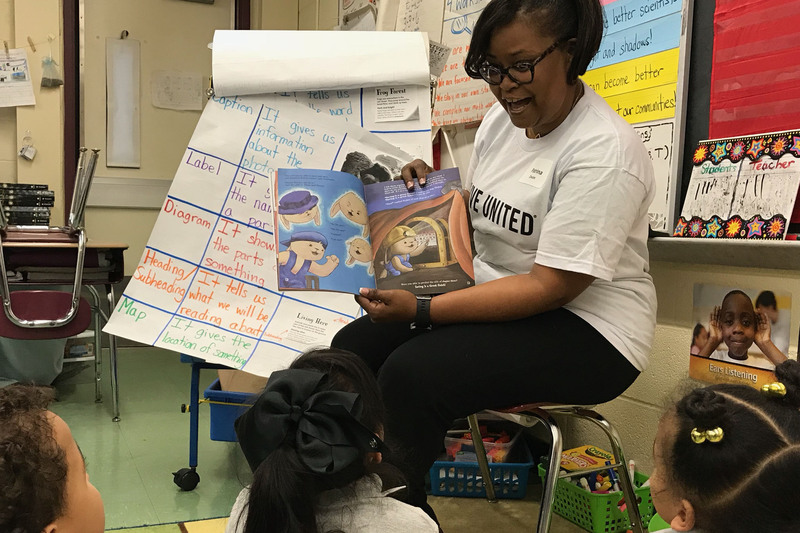 Patrina partnered with United Way to lead a Dream Big Financial Education experience at a local elementary school. 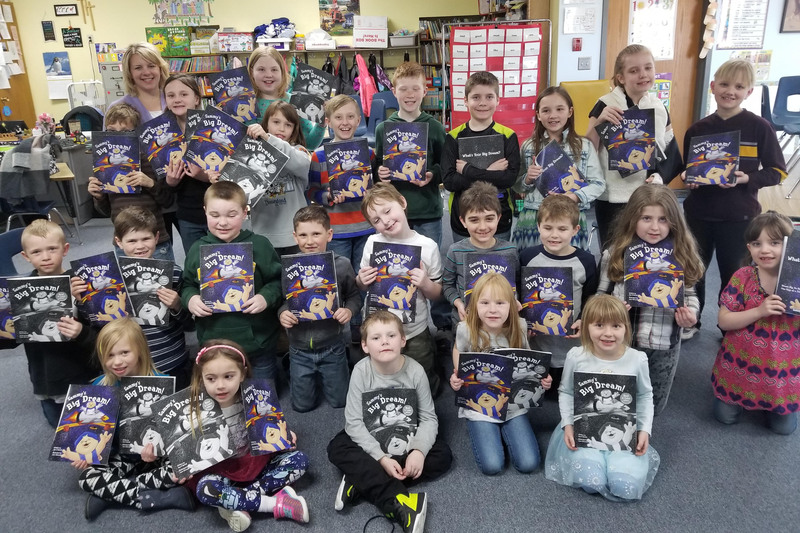 She donated Sammy’s Big Dream story books to the class of students. Read about her first experience and her second experience.